A lot has been said about tea in general, and we have come to know the many health benefits as well as some of the misgivings relating to the fact that tea, especially (black) tea has some caffeine in it even as it has been established to be a health promoter. But today I want to deal with the more or less not so popular of the types of teas we have people drinking all over the world for some very unique healthful reasons; and that is green tea. One of the basic and most important aspects of tea in general is that tea contains antioxidants and a well known stimulant - caffeine. The great news about green tea however is that it contains the highest quantity of the all important natural food substance called antioxidants. Another very important aspect of green tea advantages over the other varieties of tea is that it contains the least content of caffeine and as such it is not a problem to caffeine sensitive persons. But let us now take a more general look at the specific health benefits of consuming green tea, and how to properly make use of green tea in order to achieve the following very vital health benefits. Latest researches on this subject indicate that green tea has the capability to deal strongly with, and inhibit cancer cells of all types. But most importantly, green tea has been discovered to kill off cancerous cells that eventually could lead to oral cancer or cancer of the mouth. Sometimes this manifests as a malignant neoplasm of the lips of the mouth and it is most prevalent among men of over 60 years of age. The research suggests that if you consume green tea more often, it is able to protect you from especially oral cancer because certain compounds found in green tea triggers off an attack that hastens the death of cancerous cells. The powerful compound in green tea is the antioxidant called Epigallocatechin Gallate (EGCG), as well as some small minerals that are very vital to health. This power built into this drink is therefore able to protect you from frequent illness and diseases; hence your immune system is strengthened by you drinking green tea regularly. It also contains the amino acid, L-theanine which is capable of crossing the blood-brain barrier. This important amino acid is said to have a synergistic action with caffeine to create a very potent brain function in you. 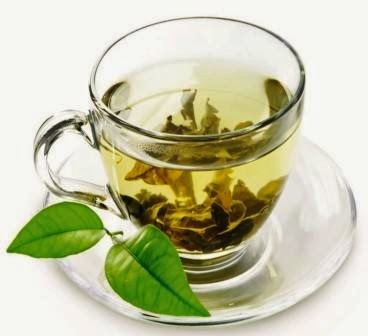 Green tea promotes energy expenditure; also burning of fat and especially some very harmful stomach fat, is increased as a result of consumption of green tea. Also by killing off bacteria and preventing bacteria attacks by the actions of the compounds - catechins, green tea reduces your risk of oral and dental infections such as tooth decay or the development of plaque, bad breath, etc. Green tea has been found to retain your brain power at old age by reducing your risk of Alzheimer’s disease which is a most common neurodegenerative human disease leading to dementia especially in late adult life. Green tea generally promotes longevity, by boosting your health: it helps to keep you trim and fit; it lowers your LDL cholesterol while protecting the LDL particles from oxidation. People who drink green tea have been found to present with the lowest risk of having cardiovascular diseases such as hypertension, heart attack and stroke. These being some of the major killers in modern society today prove, even in Nigeria, that with the actions of green tea, you can actually achieve longevity by consuming your green tea more often and with all leisure. Take your green tea hot and plane, or with honey or sugar.